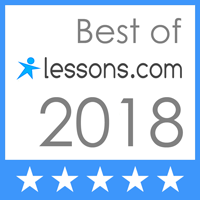 I've just been informed that I'm at the top of the list for piano teachers in St. George UT from Lessons.com. I'm very grateful for the opportunity to work with young musicians and help them find their own inspiration and their own musical journey. I also teach voice lessons and guitar. Feel free to contact me if you are in the area and in need of a private music tutor. Email LisaMacLV@gmail.com with any questions. Thank you!